Chrome Double Skull Link Belt | BUDK.com - Knives & Swords At The Lowest Prices! 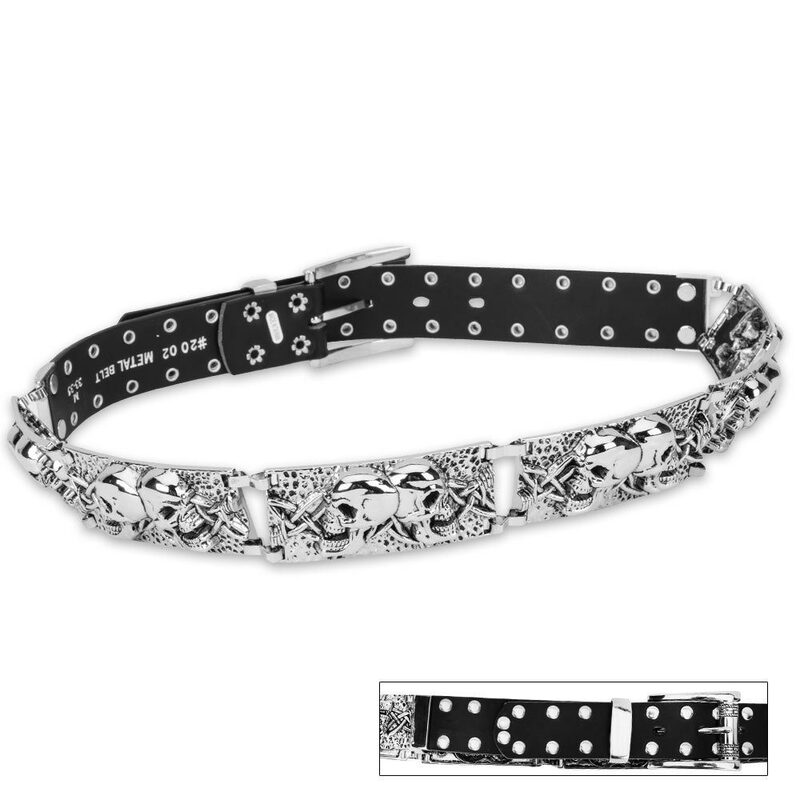 This unique genuine leather belt features chrome double skull links designed to complete your outfit. Ii ordered this belt a long time ago, cause I love skulls. It wore fine for a while, then I started noticing that the material closest to the front latch on the left side starting tearing apart, after wearing it for too long it will start ripping the material away from the skull backing.